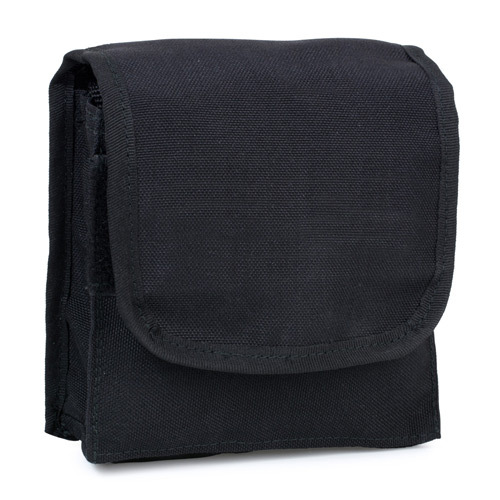 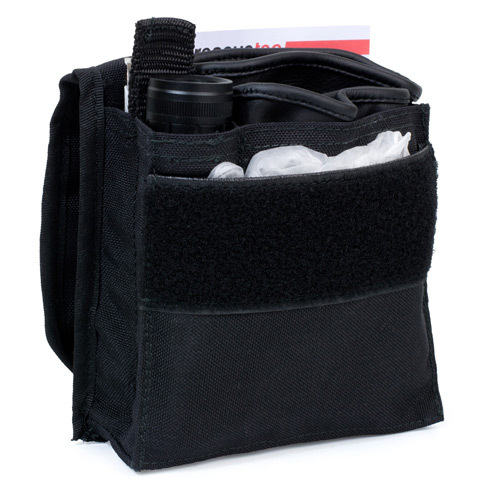 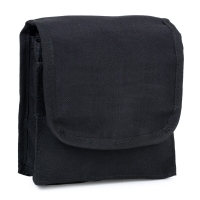 The unobtrusive holster is particularly suitable for administrative staff, security law enforcement and emergency services. 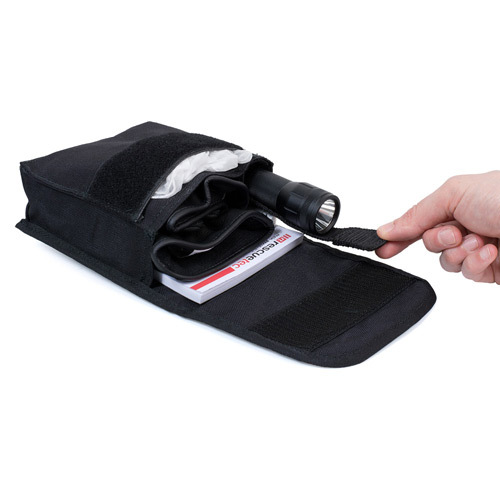 Four internal compartments provide space for gloves, a flashlight or a knife, an A6 writing pad with pen and disposable gloves. 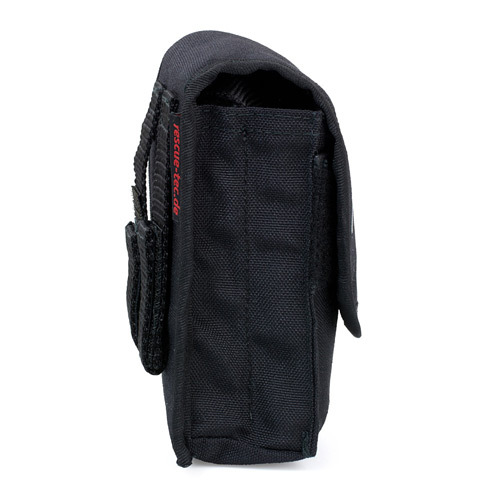 The narrow compartment is equipped with a pull-out loop to lift smaller items of equipment, such as a flashlight or a knife, for easier removal. 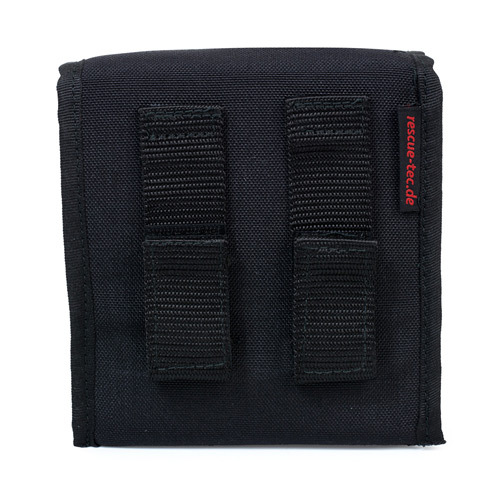 The holster can be attached to belts and the "Molle"-system with the rear duplex closure.